For those of you that have not already heard it, Michael Abbott's recently posted a great interview with author Tom Bissell. It is great hearing smart minds wrestle with the best way to articulate the artistry in games. Much of the conversation dealt with what Tom referred to as the "inevitable tension" in games: the relationship between their gameplay and their developer-authored plot. Both Michael and Tom wandered back and forth between lamenting the prevalence of arbitrary collection tasks and fetch quests in story-driven games and lauding games for dealing with these conventions in clever ways. In many ways, their conversation articulated the growing pains of a medium trying to find its identity. In hopes of furthering the understanding of that identity, I would like to suggest that it is time we shift our thinking away from how games "disguise" gameplay conventions. As both Michael and Tom point out, in the right hands, these rule systems tell stories in a way unlike any other art form. Instead of expecting the plot to justify the gameplay, we should embrace the gameplay conventions and their narrative potential. Rather than expecting a game's ludic conventions to fit an authored plot, we should expect the plot to draw its strength from the gameplay. Instead of thinking of specific gaming tropes as "good" or "bad," we should look at how they convey the story. In the interview, Tom comments that "our reigning method of gameplay is to say 'Here's a story and here's an obstacle course that the recipient of the story has to endure to see more of the story'" (36:48). Could this same charge not be leveled at the conventions in any other medium? Is the dense prose of Herman Melville not an obstacle course that tests our linguistic skills? Is the slow pacing and tantalizing buildup of The Good, The Bad, and the Ugly not an obstacle course for our patience? Is the contrivance of a Shakespearean soliloquy not an obstacle course that tests our suspension of disbelief? Of course, video games differ from these examples in that their metaphorical obstacle courses are often literal. Players must literally test their agility and reflexes to experience the story. In many games, the most complex story is the way in which the player gains a mastery over their environment and the best games have authored plots that mold themselves around this process. Tom and I agree that Portal is an outstanding piece of storytelling. However, it is an obstacle course at every level: the player must navigate a world that requires both mental and physical skill. At the same time, the themes of the world are challenging the player's perception and facilitating their empathy with their avatar. It is an exquisite marriage of plot and gameplay, but it is one that relies on gameplay. At its core, Portal is a story about transcending the conventional ways of dealing with space. Aperture Science is an entertaining backdrop that serves mainly to enhance that concept. Shadow of the Colossus blends the conventions of games as obstacle courses with the old trope of the "boss battle" to convey a story about blind perseverance in the face of overwhelming opposition. The battles require poise under pressure. The player must be intelligent and confident when attacking and screen out distractions that might cause them to miss a killing blow. At the same time, the story supports these themes by slowly revealing that Wander is screening out the moral ambiguity of his mission. The single-mindedness of the gameplay is reflected by the unsettling, yet understandable focus of the character. Finally, in Mirror's Edge, uses one of the oldest gaming conventions to tell its story: platforming. Like her long-lost cousin, Mario, Faith undermines her enemies by refusing to play to their strengths. Instead of fighting them face to face, the successful player will continually dance around shotgun wielding soldiers. 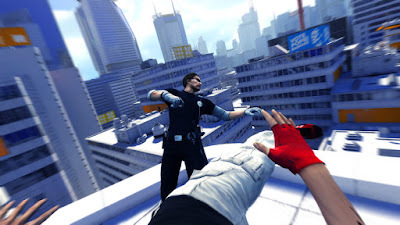 Instead of meeting enemies on level ground, players can vault across buildings and over cars to negate their enemies' advantages. In a world defined by barriers and clean lines, the player finds shortcuts that subvert the meticulously crafted buildings. Faith and her small band of clever resistance fighters reflect this convention: they fight their opponents by exploiting weaknesses rather than trying to match power. Both Michael and Tom shared a familiar sense of exasperation and admiration when discussing Red Dead Redemption. For both of them the game reached the precipice of a transcendent storytelling experience only to jar them back to reality with incongruities between the gameplay and plot. For Michael and Tom, the culprit was a "fetch quest" in the middle of a heated chase. It is a shame this happened, but I am hesitant to vilify the fetch quest in this situation. It was only performing its duty and playing to the strengths of the medium: exploration and emergent storytelling. By failing to defer to the gameplay narrative, the plot was the source of its own undoing. I find myself thinking more and more about this thing somebody once called "environmental storytelling"
In Portal you sometimes get behind the scenes of the test chambers and find writings on the wall from former participants. Maybe that's even the main reason why Bioshock 1+2 work so well, it's just about the story your surroundings try to tell you. Since games are all about exploration, maybe that's the way to go for storytelling in games in the future. Thanks for posting that Mirror's Edge stuff; I completely missed out on most of that when I played the game. What a great game! It makes me want to play it again. I think environmental storytelling is a great way technique. Since the gameplay defines how you interact with the environment, any story told through the environment must necessarily be filtered through gameplay. I think, very broadly, the story/gameplay focus needs to shift and be turned on its head. We need to stop focusing on how stories can produce better games, and start focusing on how games can produce better stories. Games do not need stories. It's a proven fact with plenty of examples. However, games are able to present stories that no linear media has ever been able to. So yeah, that is where the focus has to be: using gameplay to make better (or at least different) stories, not using stories to try to make games better... because we already know games don't need stories for that. Agree with most of the sentiments here. You could frame any story as a fetch quest. 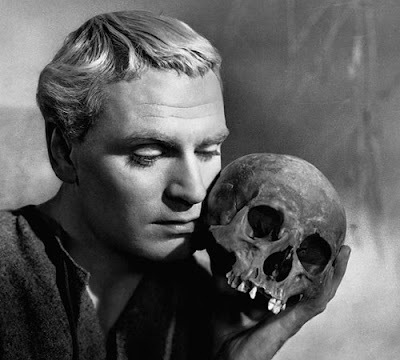 Certainly I feel that 'we' are in danger of clinging to traditional notions of story like a comfort blanket. Chess is a story that is written as the game is played - rather than celebrate its elegance and coherence I worry that it is being eliminated from the discussion because it doesn't look like a Hollywood movie. A big mistake. Reactions of a game have to start with the experience and work backwards. Otherwise we are in danger of applying a theoretical checklist to games and missing the 'special' in the meantime. After all, what complex 30 hour plus game isn't going to suffer from a patchy section or two? Games can tell stories in ways that books and films can't touch, barring the occasional Clue or Choose Your Own Adventure. Games are interactive, and that changes things in massive ways. It makes me sad to see so many games try to be like linear, author-controlled movies, when the medium has such potential in a different direction. Of course, letting the player be a cocreator is a scary thing, and hard for some egos to handle. Thanks for visiting! It sounds like we're on the same page. In fact, it's come to the point where I try to avoid "gameplay" spoilers more so than story points, as I find it more exciting to find out what I can do in a game rather than what I will be told. Thanks for stopping by! Excellent point on the danger of the "theoretical checklist," especially if said checklist was developed with another medium in mind. In regards to your point about the difficulties posed by a game's length: I've been wondering if games will grow shorter as they (and the audience that plays them) age. Cinema-like stories are much more easily told in four hours rather than 30. Portal is a good example of this. On the other hand, maybe games will keep to their lengthy ways and story writers will discover new ways of constructing long narratives. 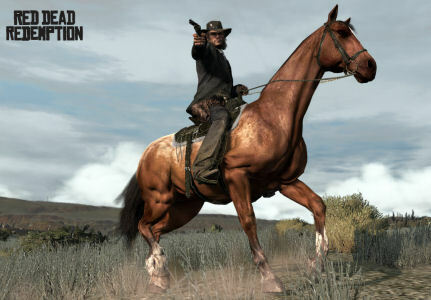 I'm currently in the process of playing Red Dead Redemption and am quite interested in whether the story will hold up over the entire course of the game. Insightful as always! I think games are lucky to have folks with such divergent design philosophies. The fact that folks like Kojima, Hocking, and Wright can all exist in the same medium makes for lively debate as each pursues their own style. "Competition" might not be the right word, but I definitely get the sense that different developers take notice and respond to one another. In the end, the players are the real winners!